Hailing from the Southwest of England Nick is a very talented DJ / Producer that has Immersed himself into many areas of underground dance music now for over 20 years; not only running his successful trance brand Hindsight which celebrates 15 years in the game this September but working in many areas of the industry spectrum including music reviewer, artist management, event / tours management. Nick can be found DJ'ing regularly up & down the country at some of the UK's most respected clubs, events and parties such as The Gallery @ Ministry Of Sound, Godskitchen, Trance Sanctuary, Clockwork Orange, Goodgreef, Bionic, Volksfest, Hindsight and many more. 2013 / 2014 also saw successful & repeat tours of Asia & Australia. No stranger to Ibiza, over the last decade Nick has graced residencies & main room appearances for the likes of Judgement Sundays @ Eden / Es Paradis, Cream @ Amnesia, Sunk @ Privilege, The Zoo and back in 2011 also featured on the lineup at Carl Cox's closing party @ Space not only demonstrating his enviable versatility as a DJ but musical maturity as he approaches the milestone of 34 years of age. 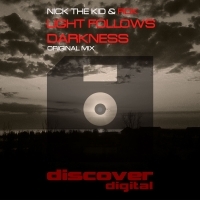 With a wealth of releases on labels such as FENology, HeavensGate, Aria Knights, Abora, Critical Uprising, Music Matters, Dataless, Tidy & more, Nick has picked up the approval by many industry peers such as Paul Van Dyk, Armin Van Buuren, Aly & Fila, Markus Schulz, Judge Jules, Dave Pearce, Kutski, Jordan Suckley, Craig Connelly, James Dymond, Infdecent Noise, not only with regular club plays but Radio 1 support & mainstream compilation inclusions through the years. During the weekdays Nick can now also be found working full time for digital download giant Trackitdown / Be-At.TV at their London headquarters as a content & label manager, a role that has really excited him and switched him back onto working within music full time again and enabled him further in his quest for finding quality music! Regional Hero Winner - 2009 Global Hard Dance Awards.